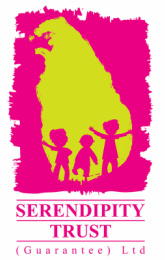 The MAS Galle Children's Programme on Saturday 16th and Sunday 17th January 2016 will be held at Thomas Galle School. Please note that this is a ticketed programme and we are unable to accommodate walk-up requests. Tickets can be purchase online or from the Galle Box Office. Check out the Galle Literary festival's website for further details. . The registration times have been staggered to avoid delays and also overcrowding in the schools' car park. Please do your best to arrive on time to help registrations run smoothly. You must present your pre-purchased ticket in order to participate. An informal parachute games session will be held following registrations for all participants to enjoy until they join their respective groups and activities. Lunch and light snacks will be provided to each participant. If you have not already done so, please email us with your child's name and any special dietary requirements or food allergies. Children are welcome to bring additional snacks or lunch items from home. Please ensure your child brings a refillable water bottle. In attempt to reduce plastic waste the MAS Children's Programme will not provide disposable water bottles for participants. A large drinking water dispenser will be on site for refills. Both the Saturday and Sunday programmes will be held at Thomas Galle School. Continue down Galle Road past Dewata to Megalle, in front of the Navy Camp entrance. Turn right on to Bandaranayake Road (Landmark: Hayley's on corner). You will see a sign to Thomas Galle School.